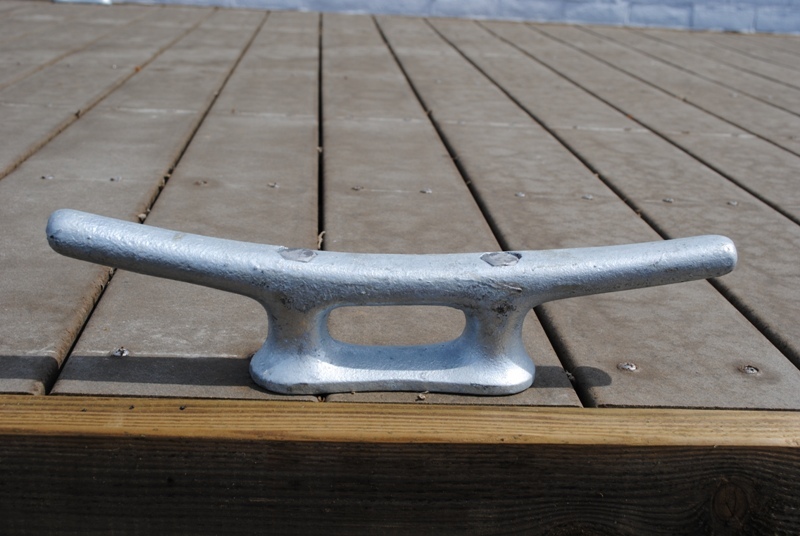 If you need to add a cleat, upgrade because of an increase in boat size, or replace one from damage, Swift Slip stocks the cleats you are looking for. 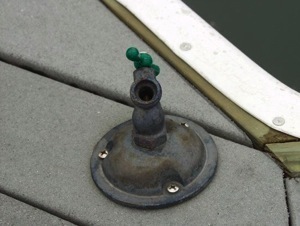 A hose is just one of the numerous uses for a deck hatch. 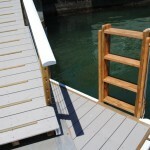 Swim ladders are available and are built custom for your application. 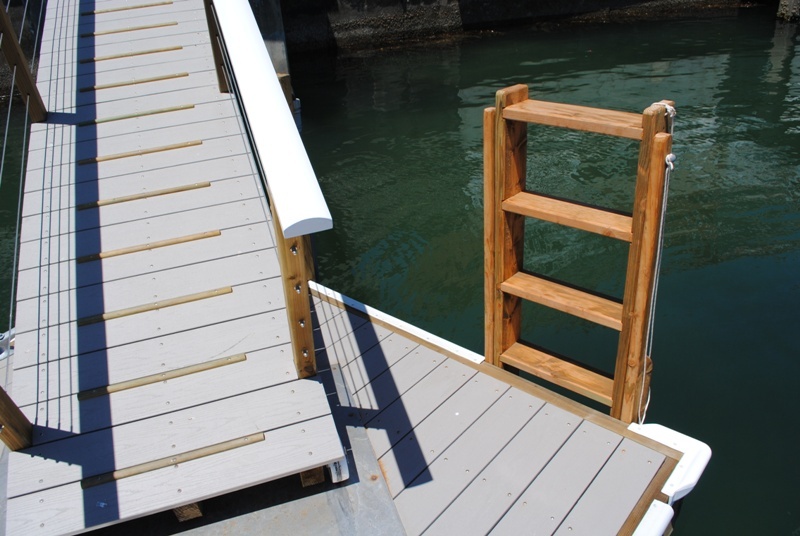 Click here to see an aluminum ladder. 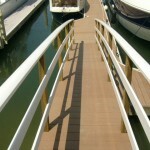 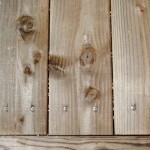 We have several materials that we use for decking, according to the customer’s desires. 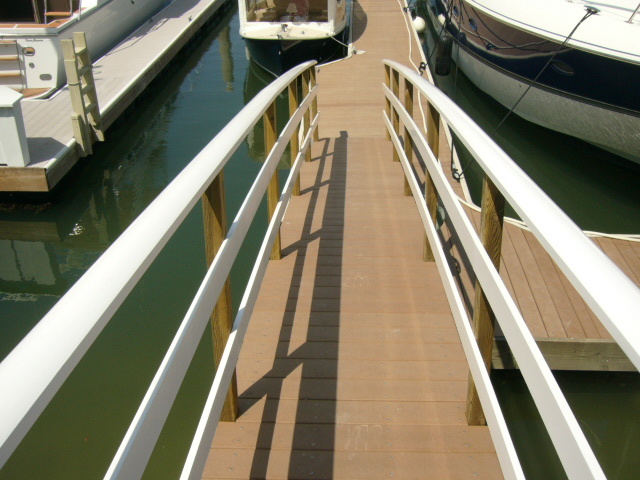 We use pressure treated Douglas Fir, Trex wood and plastic composite, Brazilian Hardwood, AZEK plastic, and two types of fiberglass: one is a “global grid” look, and the other is a smooth solid decking. 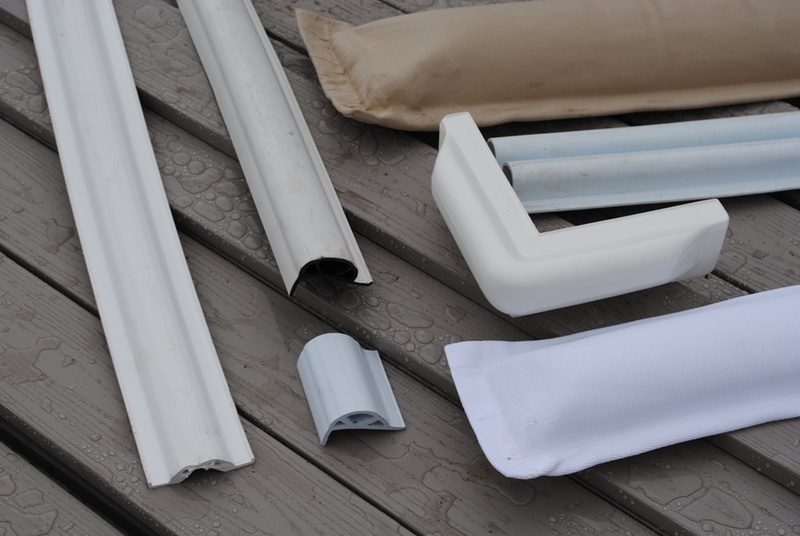 Click here for more details about each material! 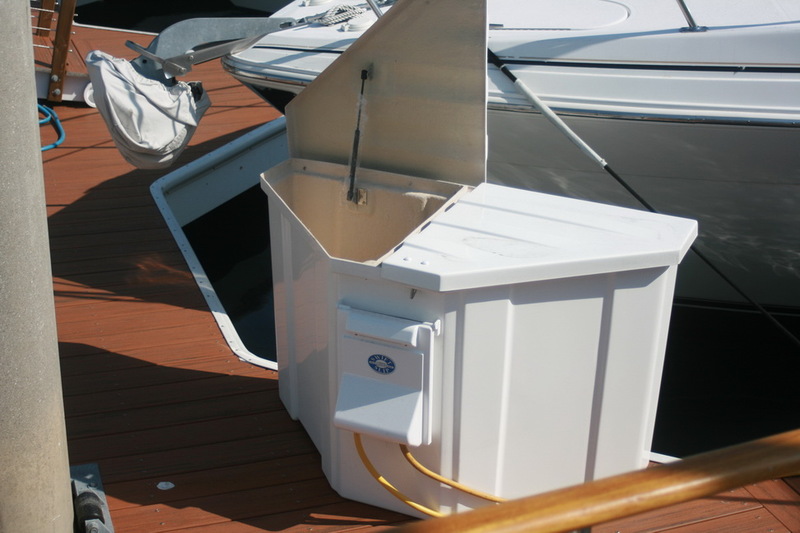 Swift Slip offers many different dock boxes. 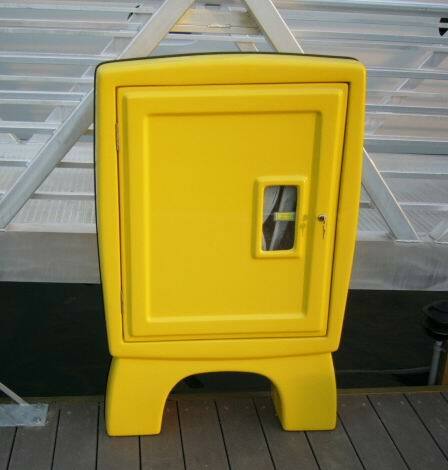 We can recommend a box for you according to your specific requests. 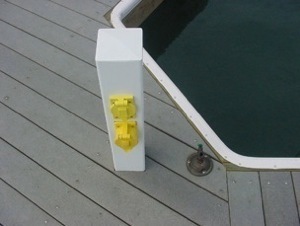 Pictured is a standard two-plug 110 electrical stand. 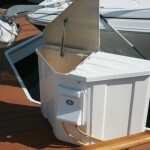 There are also other variations, including a stainless steel option seen here. 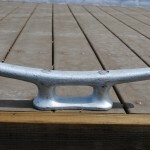 Fender wheels are available in 10″ and 18″ diameters. 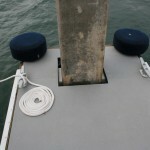 Fender wheels are a must for a big boat, tight areas, or high wind areas. 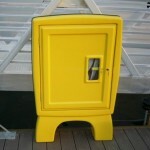 Fire hose storage cabinets can be used for commercial or residential use. 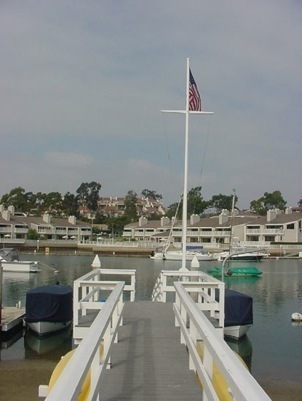 Flag poles are available in different sizes and configurations. 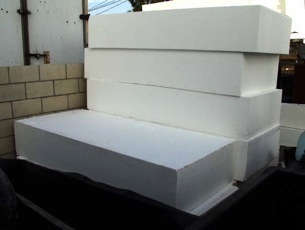 (40 x 89 x 16) 1/2 blocks available – Call for availability. 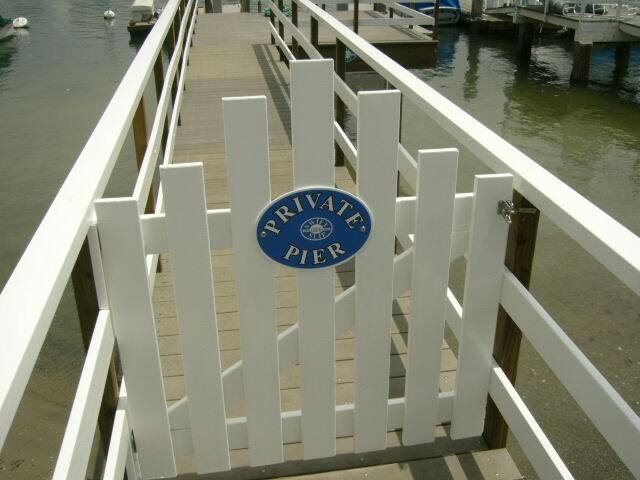 We will work with you to design a gangway perfect for your situation and desires. 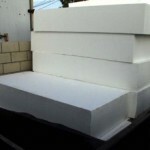 We have different sizes and materials to choose from. 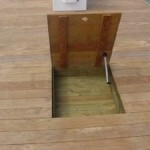 You can find more information on our different gangway options here. 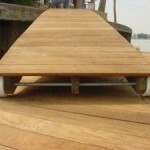 We also offer other components such as replacement axles and wheels that are available as a set or for individual gangways. 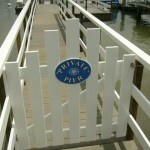 Gates can be built in many different sizes and shapes. 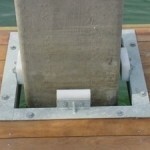 Replacement handrails are available by the foot. 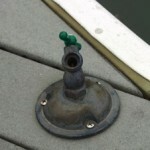 Hose bibs can be installed per customer’s request to help make boat maintenance easier. 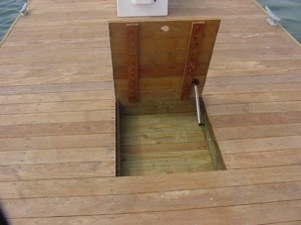 Hose bibs can also be installed inside a deck hatch. 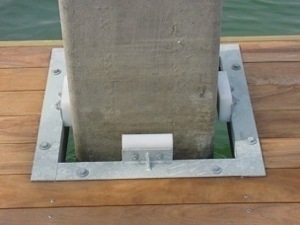 Pile guides are available in a pad style. 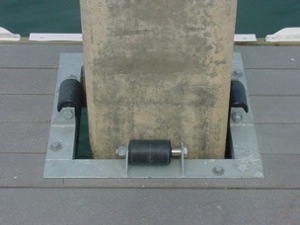 Replacement pads are available separately. 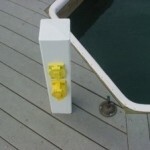 These lights can be mounted on the side of your dock to light up your walk way. 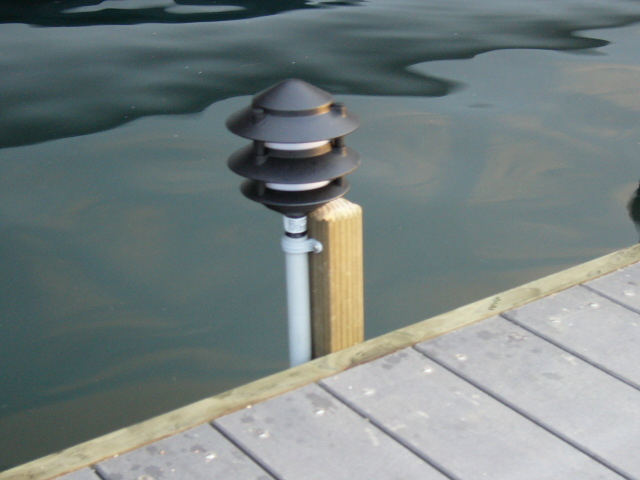 Click here to view our new Pagoda Towers, which consists of a deck light and a power plug! 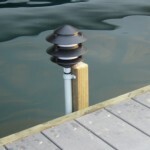 Pile caps keep birds from using your pile and dock area for a roost area as well as improving the look of the entire dock system. 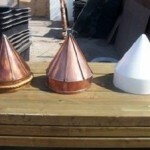 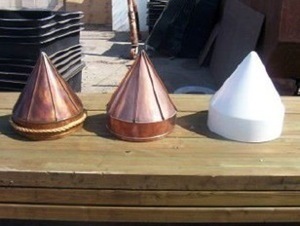 They are available in copper and fiberglass. 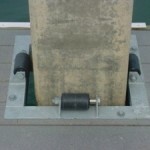 Pile guides are also available in a roller style. 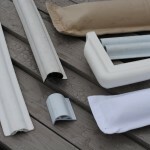 Replacement roller, sleeve, and hardware are available separately. 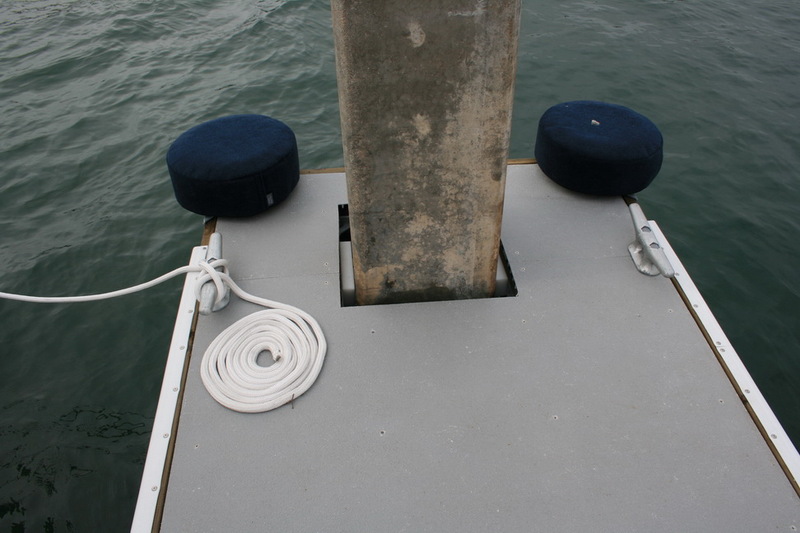 Rub strip helps to protect your boat and dock. 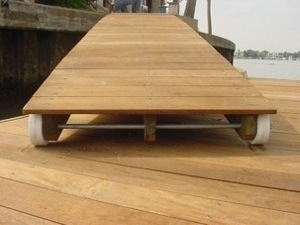 Heavy-duty rub strip is also available. 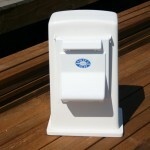 We now offer different colors such as white and black. 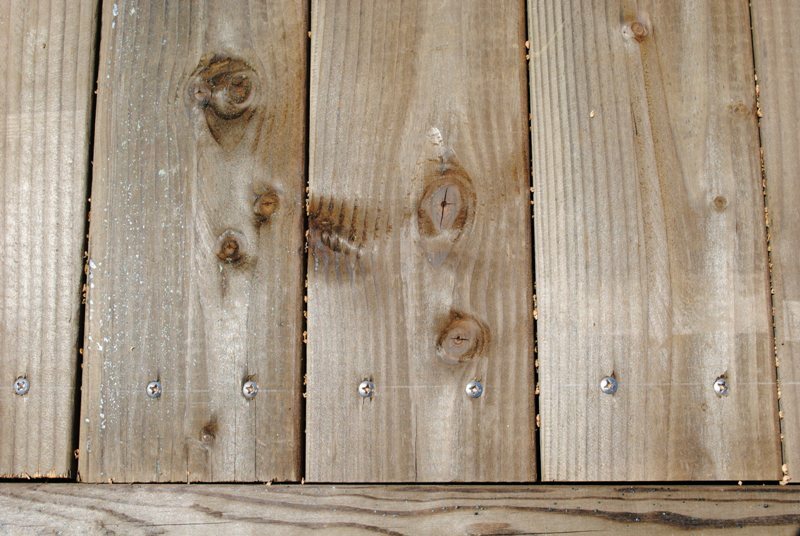 Click on the colors to see an example of each! 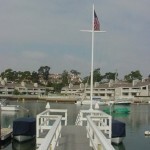 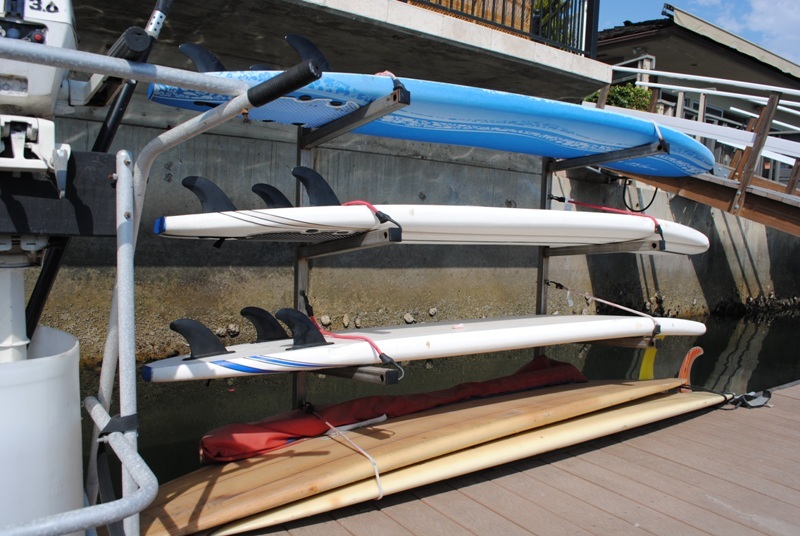 Stand up paddle board racks are found on many docks. 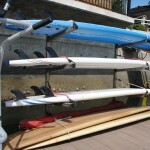 These racks can also be used for other water sport accessories as well. 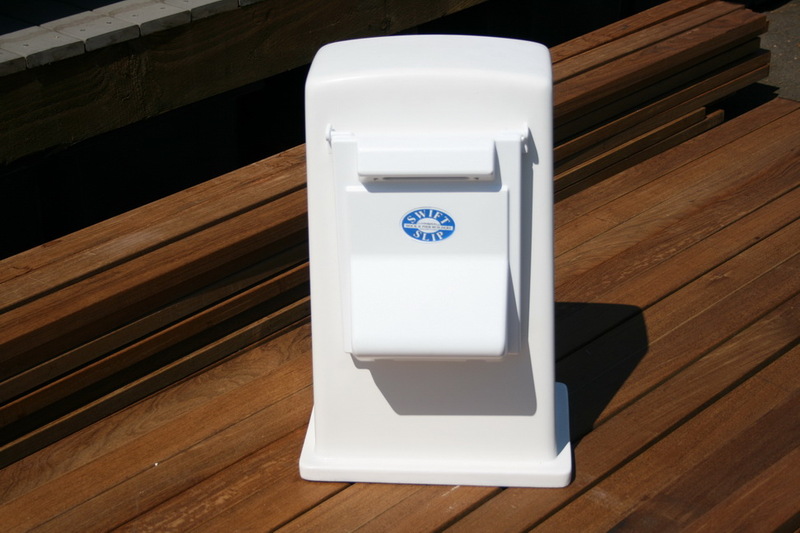 A utility stand is used for your electrical and water utilities. 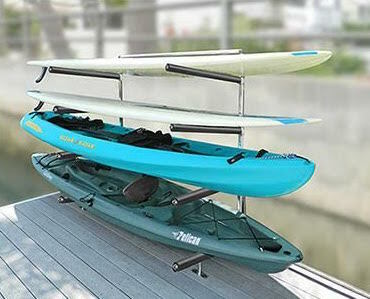 We will order and install a kayak rack for your dock to fulfill you water sport desires. 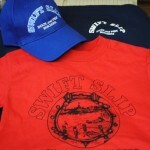 Swift Slip has its own logo which we print on t-shirts, hats, and sweatshirts. 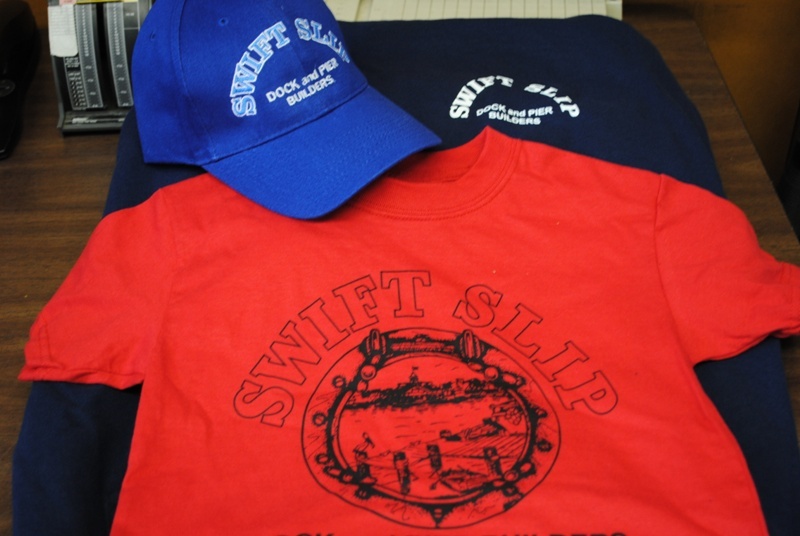 We have sizes S-XXL in colors grey, navy, white, and red. 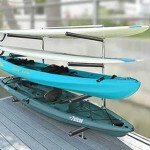 Call us today to order your gear!